You launched an online clothing retail store few months back. But youre STILL struggling to make decent revenue. You wont make sales just because you exist. And this is a fact that hit the new market players the hardest. To succeed, especially in the competitive clothing market, being smart with your decisions is nothing short of essential. What kind of wears and varieties to wholesale is a big confusion for the retailers. Wrong decision and regardless just how awesome the wears are, they wont sell. And top women and wholesale mens clothing suppliers can help you only so much here with their suggestions. You need to take care of it yourself. One simple way to hit the dart at the right spot is segmenting your market and identifying your customers and their individual needs. With markets and your target audience divided into different groups, it would be much easier to understand what you should wholesale, which group should you pay most of your attention and where more profit lies. Clothing market is very competitive today. While it sure is a big challenge, it also provides retailers with apt opportunities. You can learn a great deal from your successful competitors. And perhaps for this reason, doing competitive analysis is so very important, recommended by every expert. So take some time off to identify the top players in your niche. The retailers/resellers who are very successful- identify them. Understand their strategy how there are wholesaling, marketing and pricing – to uncover the reason behind their success. Follow their footsteps with your own distinct approach. Selling your apparel collection at the cheapest price might seem like a legit idea to boost your sales after all, the end buyers want everything at cheap it isnt. Pricing is one of the most overlooked aspects of retail business, often overshadowed by all marketing fuss. Its much more than just about cutting a desired profit margin. Right pricing can significantly swing your sales higher. So take your time in mapping the right pricing strategy. Pick the right occasion to offer additional discounts and lower your pricing. Be exclusive in your deals that trigger the right emotion of the buyers that pushes them for immediate purchase. Marketing your business is very important. However, you must be open to invest in paid advertisements – something that many clothing retailers dont understand. Today, advertising on Facebook, Twitter and other social channels has become relatively easier and cheaper with simple targeting option that vouches better conversion. So give a boost to your marketing efforts by spending on paid promotions. In the clothing industry, Dropshipping model has become crazily popular today; and that, for all the good reasons. Helping with inventory management and order fulfillment, the dropshippers take a chunk of stress off the retailers plate. To that, its much more cost effective for the small businesses that are often limited on their budget. So if your business model and goals allow, drop ship your collection while you solely focus on marketing and scaling (and sustaining) your business. 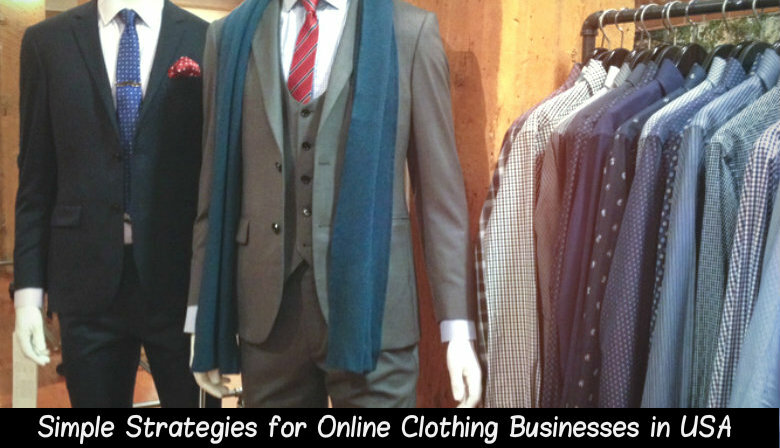 These are 5 simple strategies for online clothing businesses to increase their sales easily. Of course, for them to work, you need top wholesale clothing distributors in Las Vegas, USA by your side and a remarkable collection in your warehouse. So look around carefully for the right dealer and the best wholesale clothing San Diego, USA.